A little lady in my household has a new fascination for vases and flowers. They pop up in little corners of the house. With no warning, no words. What a sweet little bunny she is. 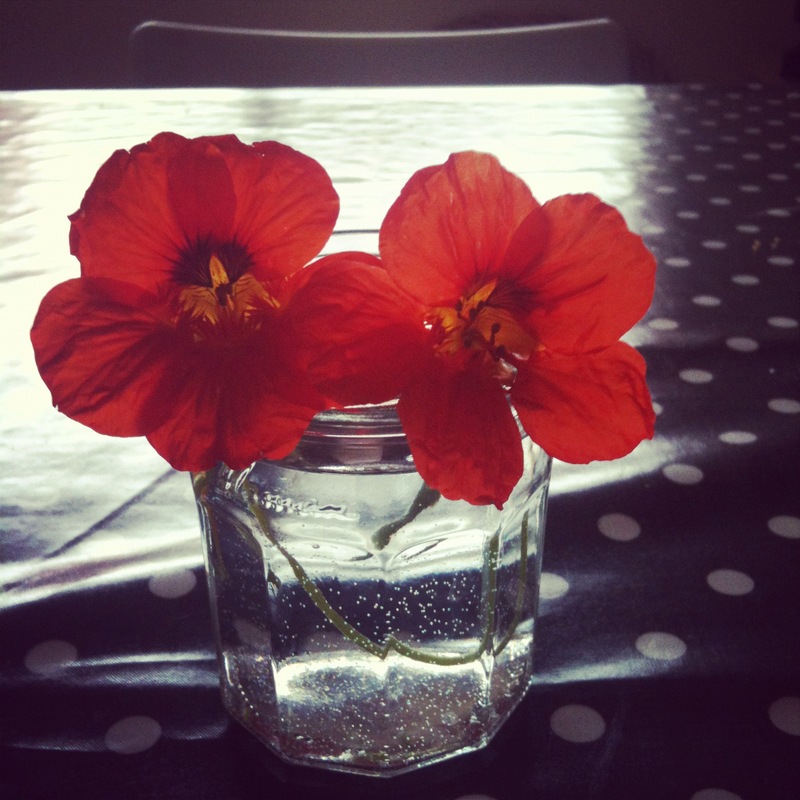 Nasturtiums are one of my favourite flowers, never thought they were vase/jar worthy – a 9 year old has shown me they are.